As you cruise around Nashville in your car regularly, wear and tear can take a severe toll on the vehicle. One sign of wear is poor alignment, which can create a feeling of your car pulling to one side as you drive. You may think that alignment only has to do with the tires, but this is not the case. For your vehicle to travel precisely in the direction that you are steering it in, its suspension system, steering column, wheels and other components must all be in perfect alignment and well-maintained. Proper alignment can affect more than your daily driving experience. It also creates ongoing wear on your vehicle. 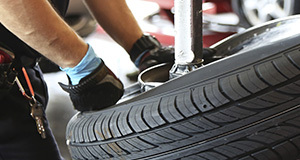 With alignment service, you can decrease the impact of future wear. That can help you to save money on future repairs, and it can decrease downtime related to those repairs. You can see that scheduling periodic alignment service for your vehicle is a smart maintenance move to make, and we are the service center that you can count on to provide you with quality results. We take several steps to ensure your complete satisfaction with your experience when you bring your vehicle to us. One step that we practice is to hire only certified automotive techs. Regardless of the professionals who are assigned to complete your vehicle’s alignment service, you can rest assured that each member of the crew has passed through an extensive training and certification process. In fact, the knowledge of our team is so significant that we can complete work on your BMW as well as on any other type of vehicle that you own. More than that, our service team strives to complete exceptional work on your car in minimal time. One way that we accomplish this is by making it easy for you to set up an appointment with us at your convenience. You may call us now to request an appointment by phone, or you can set up an appointment online which makes you feel confident that we will begin working on your car as soon as you arrive. We also take the additional step of choosing high-quality auto replacement parts to ensure your satisfaction further. It can be frustrating to bring your car into the service center only to find out later that the work was not completed properly. If replacement parts are needed to complete the alignment service on your car, we will only use OEM parts. Original equipment manufacturer parts are typically superior in quality compared to the aftermarket parts that other local auto service centers use. Keep in mind that we also use OEM parts for other auto services that we offer. If you have noticed signs of trouble with your vehicle’s alignment or if you want to be proactive to complete recommended services, now is a great time to reach out to our service department for an appointment. When you entrust our certified auto techs with your vehicle’s care and maintenance, you can feel great knowing that your car is being properly cared for.